The vast and pristine beauty of Patagonia has been beckoning intrepid hikers for years and for good reason. It's a truly remarkable place where guanacos roam free below towering granite peaks and immense glaciers. 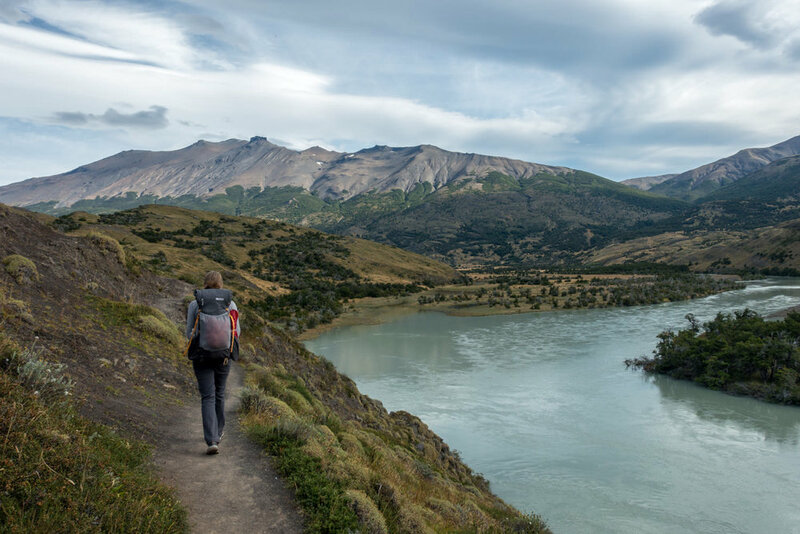 Whether you're preparing for the W Trek in Torres del Paine or chasing sunrises on Fitz Roy, packing the right gear to ensure you're safe and comfortable is essential. Guide to Backpacking & Hiking in Patagonia. First things first, we always recommend hiking light. You’ll pass backpackers on the trail with gear strapped to their already bulging packs. Don’t be that person. Dial in your gear before your trip, minimize unnecessary items, and focus on keeping your weight down. 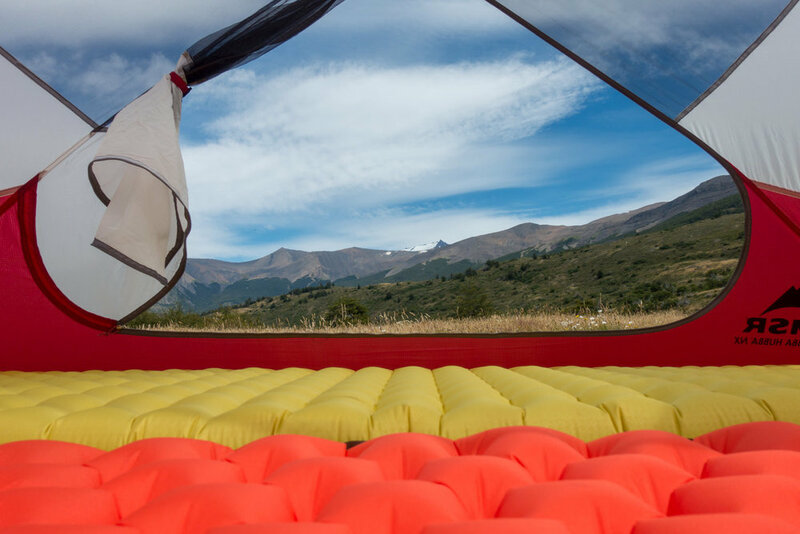 Not only will your trip will be far more enjoyable, you’ll also decrease the chance of sustaining injuries while hauling a large load through the mountains. What you pack will greatly depend on what type of hiking you’ll be doing. If you're joining a guided trip where you'll be sleeping in refugios (mountain huts with dorm-style sleeping and meals generally included), your pack list will look quite different from those who are independently backpacking. For the sake of comprehensive information, the list below contains the gear you’ll need if you are independently backpacking. If you're staying in refugios , you can eliminate the unnecessary camping equipment (tent, sleeping pad, stove, etc) when preparing your pack. TENT - Packing a lightweight, but durable tent that can withstand the fierce Patagonia weather is critical. We used the MSR Hubba Hubba NX tent on this trip and it stood up to the weather wonderfully. Its relative low weight, spacious interior, and durable construction made it a great choice for backpacking in Patagonia. With any tent you bring, you'll want to make sure you have strong tent stakes and adequate guy lines to ensure your tent is secure. For more of our suggested lightweight options, check out our Best Lightweight Backpacking Tents list. BACKPACK - What size backpack you bring will depend on how well your gear is dialed in. We hiked with the Gossamer Gear Gorilla 40 and Hyperlite Mountain Gear Southwest 3400 and they offered adequate capacity at a minimum trail weight. If you are a casual backpacker, you may find that you need a backpack with more capacity (possibly 50-60 liters). For more of our recommendations on lightweight backpacks, check out our Best Lightweight Backpacks list. SLEEPING PAD - When backpacking in Patagonia you'll want to make sure you have a sleeping pad with a high enough r-value to keep you warm at night. We brought the NEMO Tensor Insulated and REI Co-op Flash Insulated Pad and they kept us plenty warm. These pads aren't the lightest pads on the market so we suggest looking through our Best Sleeping Pads list to look over our top picks for lightweight backpacking. SLEEPING BAG - Whether you are camping or staying in refugios, you'll want to bring a warm sleeping bag. We recommend a bag with a comfort rating down to 20° just in case you have an unseasonably cold night. The quality and cleanliness of rented bags at sites along the way can vary significantly, so it's best to bring your own, if possible. We used the Feathered Friends Egret UL 20 and the Katabatic Flex 22 Quilt. While trekking in February, the nights never dipped below 40° Fahrenheit, so our sleeping bags were plenty warm. Here’s a list of some of our other favorite lightweight sleeping bags. RAIN GEAR - It will be windy and it will rain. These are just truths of the ever-changing weather in Patagonia. You want to make sure you have a quality rain jacket and rain pants packed. We brought our Patagonia Stretch Rainshadow rain jacket and Mountain Hardwear Stretch Ozonic rain pants and they performed great. For more information, check out our Best Backpacking Jackets post. 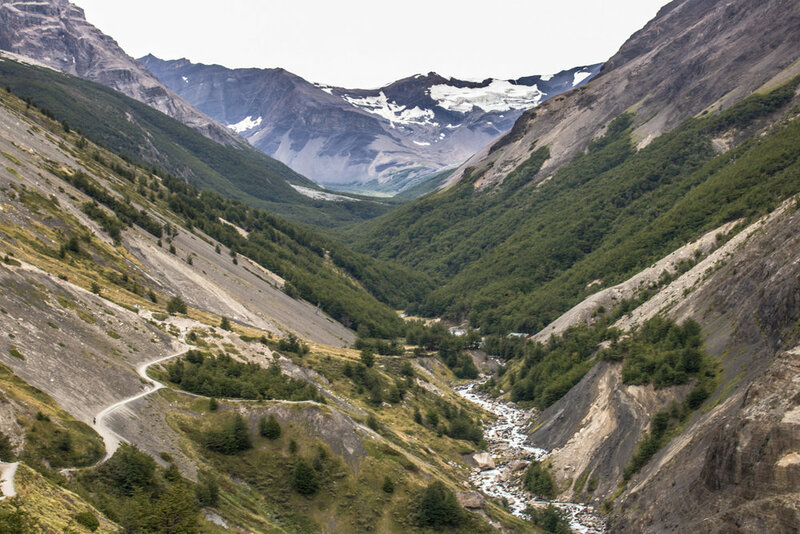 SHOES OR BOOTS - The trails in Patagonia are well-maintained and well-traveled, though at times you’ll encounter rocky and rooted trail. Unless you're hiking in winter or have ankle issues, most people will be just fine hiking in trail runners. We hiked in Saucony Peregrine 8's in the Torres del Paine and Fitz Roy regions and we’d make the same choice again. 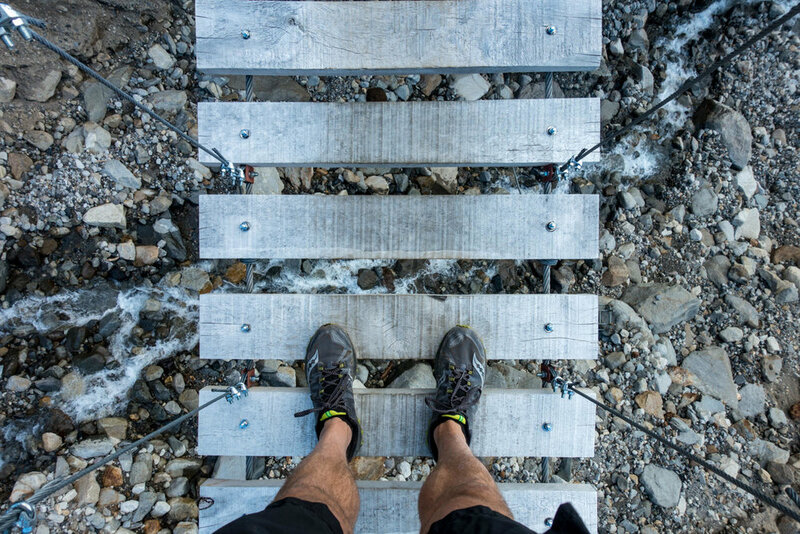 Here’s why we prefer to hike in trail running shoes: 5 Reasons to Ditch Your Hiking Boots. If you prefer boots (or plan to encounter lots of snow), make sure they’re lightweight and break them in before your trip. For more recommendations on hiking footwear, check out our Best Hiking Shoes and Boots list. STOVE - If you’re camping, you’ll most likely be preparing your own meals rather than buying meals from refugios. If this is the case, you’ll need to bring a backpacking stove. We brought the MSR WindBurner and it worked great. Some of our other favorites include the Jetboil MiniMo and the MSR PocketRocket 2. For a full list of our stove recommendations, check out our Best Backpacking Stoves list. Always make sure you are aware of the regulations in the area you are hiking. For example, you are only able to use stoves in designated cooking areas in Torres del Paine. STOVE FUEL - In order to operate one of the backpacking stoves listed above, you’ll need to purchase isobutane-propane canister fuel. You aren't able to fly with the fuel canisters, but they are readily available in Puerto Natales, El Chalten, and even in some refugios along the backpacking routes in Torres del Paine. LIGHTER - Unless your stove has a push button igniter (like the Jetboil MiniMo), you’ll need a lighter to ignite your stove. As always, please be careful when using the lighter and only do so in designated cooking areas. MAP, COMPASS & GUIDEBOOK - We always hike with a topographical map. We bought a Torres del Paine topo map and an El Chalten topo map (Fitz Roy region) prior to our trip, which helped us plan our routes. That said, you can also find maps in the hiking regions, but they can be quite pricey. For a guidebook, we found the recently updated Moon Patagonia guidebook to be quite helpful in the planning phase.In addition to a map, we always hike with a compass, though the trails were easy to follow and we didn’t end up needing it. FIRST AID KIT - Always bring a small personalized first aid kit. We use the Ultralight .7 Kit and add extras, like painkillers and personal medications. Adding extra bandaids to your kit is always a good idea. GEAR REPAIR TAPE - Tenacious Tape is a fantastic tool that should accompany any backpacking trip you take. It can quickly fix a popped sleeping pad, a tear in your gear, or even a busted tent pole. SUN PROTECTION - Remember that “hole in the ozone layer” talk? Well, in Patagonia you’re right under it, so sun protection is absolutely crucial. We brought along several tubes of travel sunscreen, which were compact, lightweight, and used everyday. Even on cloudy days, make sure you are wearing sunglasses (Ray Ban Polarized New Wayfarer are our faves! ), sunscreen, and spf lip balm. POCKET KNIFE - We brought along a small Swiss Army Knife which came in handy on a daily basis. This should be considered optional, but it's always a good idea to have one with you. WATER PROTECTION - Keeping your gear dry should be an important consideration when preparing for your trip. Many backpacks come with a rain cover, but don’t even bother bringing it to Patagonia. Rain covers don't work effectively in serious rain conditions and the fierce Patagonia winds will blow the cover right off your pack. Instead, bring several large garbage bags to line your backpack when conditions are wet. In addition, we recommend bringing dry bags, such as HMG Waterproof Stuff Sacks or S2S eVAC Dry Sacks to pack your gear in. Think of it as waterproofing your bag from the inside out. WATER PURIFIER - As long as conditions stay as they are in Patagonia, the water is safe to drink straight from the source and you don’t need to bring a water purifier. Just dip your bottle in streams and rivers that appear to be flowing well and clear of debris and you should be good. We were skeptical and brought Aquamira chlorine dioxide tablets, but never had to use them. HEADLAMP: A small headlamp like the Petzl Actik is an affordable, bright, and lightweight option. Bringing along extra batteries is always a good decision. CAMP PILLOW - Finding the right camping pillow can make all the difference in getting good trail sleep. After years of wobbling around on inflatable pillows, we’ve found our favorite - HMG Large Stuff Sack Pillow. It’s comfortable with a soft fleece layer against your face and, after inserting your down jacket into the stuff sack, gives a perfect amount of fluff for a good night’s sleep. TREKKING POLES (optional) - We don’t usually hike with trekking poles, but many hikers in Patagonia do. If you have bad knees or ankles, they can help reduce strain on big ascents and descents. Here's a list of our favorite trekking poles. SMALL TOWEL - The Nano pack towel is great for cleaning up after a day on the trail. Proper hygiene will not only keep your tentmate or bunkmate happy, but you’ll feel better and more refreshed as well. At many of the campsites and refugios, you’ll be able to take hot showers (trail luxury!) Remember, never wash directly in water sources. HAND SANITIZER -We always hike with a small 1 oz. container of hand sanitizer. Use it before every snack or meal, as well as after going to the bathroom and you’ll have a better chance of avoiding illness. INSECT REPELLANT - In most areas in Patagonia, mosquitos and insects aren't a concern. That said, there were mosquitos on the backside of the O Trek, most notably at campsites Seron and Dickson. Mosquitos there were quite fierce, but a little bit of 30% DEET did the trick. We would recommend bringing a small container, just in case. TOILET PAPER AND TROWEL - All campsites and refugios have bathrooms, however they're not always stocked with toilet paper. We recommend bringing toilet paper in a ziplock bag to make sure it stays dry. Also, if you must go #2 while on the trail, always use a trowel and dig a cathole at least 6-8 inches deep. Remember to do your duty 200 feet from a water source. If hiking along the W Trek, you'll see widespread remnants of a devastating wildfire caused by a trekker burning their toilet paper several years back. So please, don't burn your toilet paper. Always pack it out. POWER BANK - Although you're able to charge your devices at some refugios along routes in Torres del Paine, you shouldn't rely on this. Competition for outlets can be high and paying guests get first dibs. We kept all our electronic devices charged with a Jackery Mini Power Bank, which was lightweight and compact. CAMERA - You’re in Patagonia- there’s no sense in capturing such breathtaking beauty with only your camera phone. We were happy we brought our Sony RX100, a fantastic and lightweight point-and-shoot camera and our Canon Rebel T6 DSLR. Though heavier than we usually hike with, the extra ounces were worth it. PERMITS - If you are independently hiking in Torres del Paine, you'll need to have proof of all your reserved campsites. You’ll be asked to show these at every campsite and rangers may ask to see them randomly along your route. We had printed reservations, but the rangers were also fine with screenshots of your email confirmations. There are no permits needed for the Fitz Roy region. 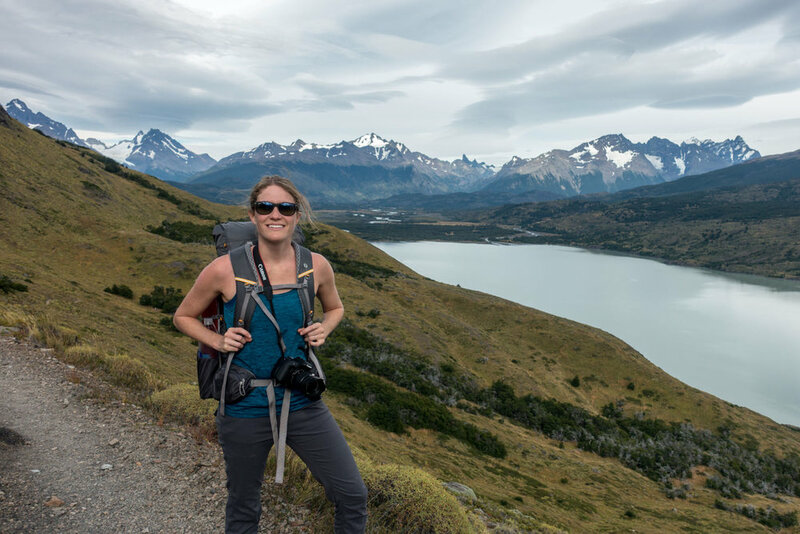 PASSPORT, CASH, & CREDIT CARD - You'll need to carry your passport for hiking in Torres del Paine, but we recommend carrying it with you when hiking in any region in Patagonia. Also, it’s always a good idea to bring a credit card and some cash, as you never know when you’ll want to splurge on an overpriced Snickers or bottle of wine while on the trail. PERSONAL TOILETRIES - Don't forget things like a travel toothbrush, toothpaste, contact lenses, personal medications, and any other small toiletries you'll need. GAMES, BOOKS & JOURNAL - Although you'll most likely be exhausted after long days of hiking, we always found it great to have some lightweight entertainment with us. We wrote in our Rite in the Rain All-Weather Journal every night and also brought a travel cribbage board and cards to entertain ourselves at camp. There were quite a few people with their Kindles on the trail as well. FOOD - Although you're able to purchase meals and snacks at refugios along the way in Torres del Paine, it's certainly not the most economical approach. You can expect to dish out a lot of money for pretty standard cafeteria fare. As far as snacks go, you can expect to pay around three times the price you would pay off the trail. If backpacking near Fitz Roy or other more remote regions, you'll need to pack all your own food. We recommend being strategic and intentional with meal planning as this can be an area people add unnecessary weight to their pack. You'll be able to buy groceries at the markets in the base towns of trekking areas which cater to the needs of hikers. Focus on calorically dense foods to keep your weight pack down. We brought a handful of freeze-dried meals from home (declare them at customs! ), which is always a convenient, easy, and delicious option on the trail. Though we packed in most of our own food, we did purchase some snacks and buy an occasional meal or glass of wine at refugios along the way, so it's always a good idea to bring some extra cash with you. For more information on meal planning and tips, we recommend reading through our Best Lightweight Backpacking Food Guide. CAMP SPOON & CUP - If you're preparing your own meals or enjoy a cup of coffee in the morning, you'll want to bring a lightweight simple cup, which can double as a bowl for meals. You'll also want to bring a durable spoon. We prefer using a spoon with a long handle, such as the Snow Peak Folding Spoon, especially if you'll be eating out of freeze dried backpacking meal pouches. 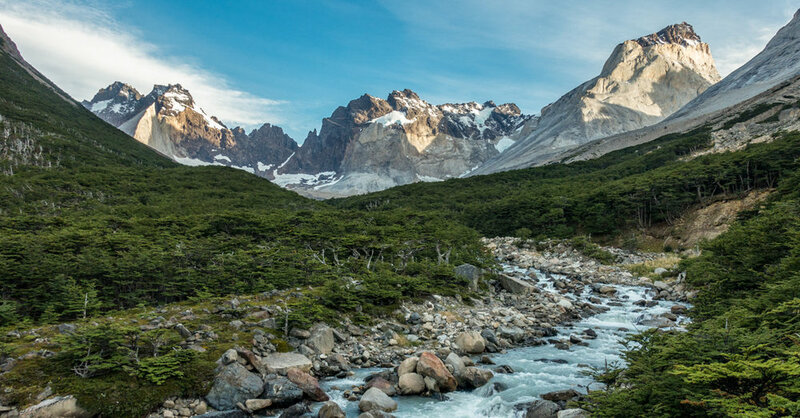 We highly recommend purchasing travel insurance if you plan to trek in Patagonia. Most trekking locations in Patagonia are remote, so if something goes wrong, you’re likely to need an emergency evacuation and that can get insanely expensive. We did a bunch of research on travel insurance companies and ended up choosing World Nomads for our travels. Their rates were reasonable, their coverage met our needs, and communicating with them was easy. We fortunately didn’t need to use our travel insurance, but the peace of mind alone was well worth it. 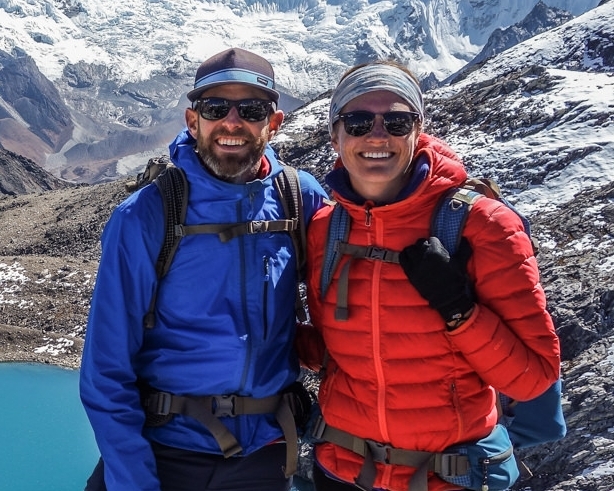 We hope this packing list was helpful in preparing for your trip to Patagonia. Below are more resources to help dial in your gear. For more information on backpacking in Patagonia, we suggest visiting our resource A Guide to Backpacking in Patagonia.